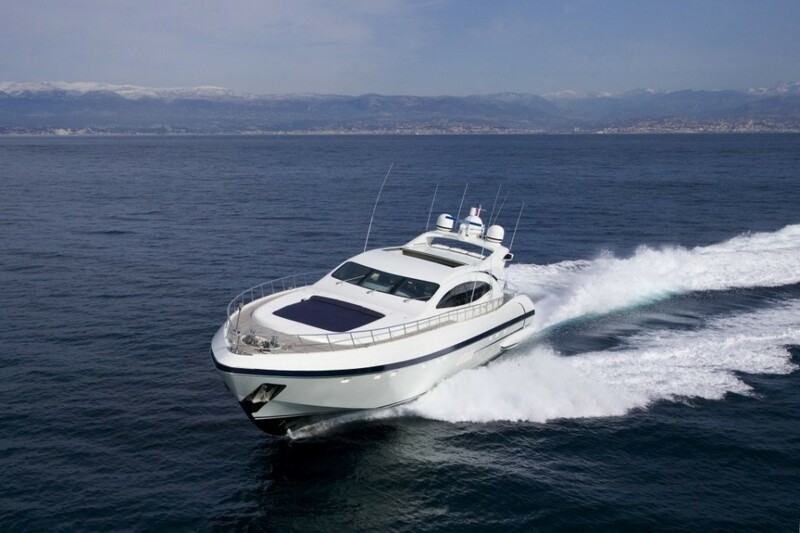 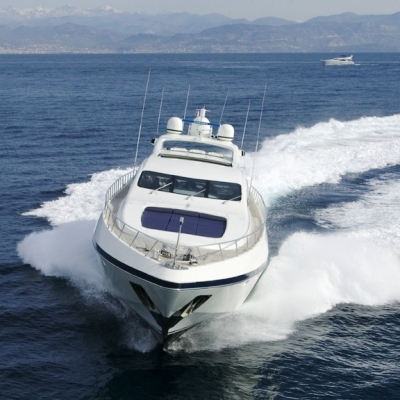 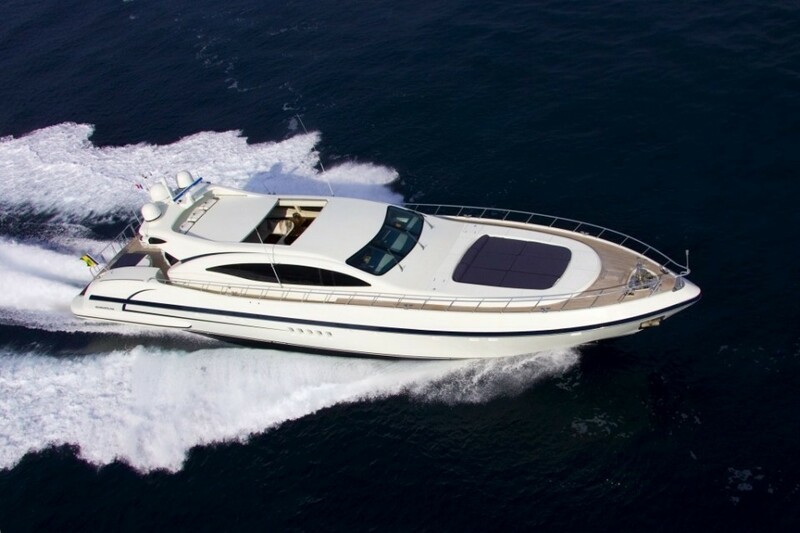 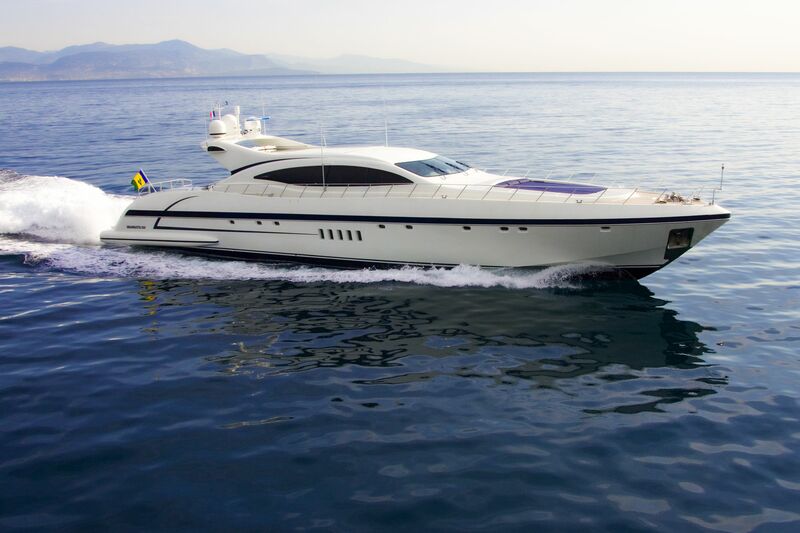 Motor yacht FOUR FRIENDS is a Mangusta 108 open style performance luxury yacht. M/Y FOUR FRIENDS measures 33.50m (109' 10") in length and features sleek lines and incredible performance. 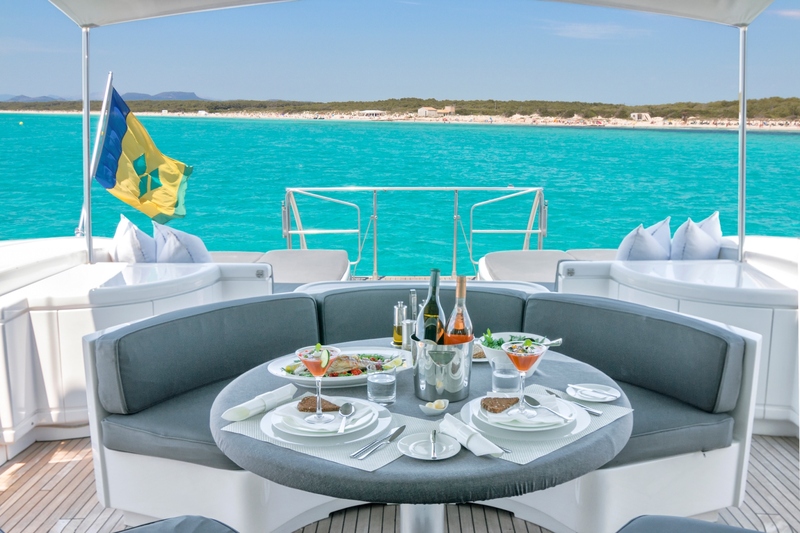 M/Y Four Friends has a sporty nature and combines high-performance with the personalisation and comfort of a traditional motor yacht. 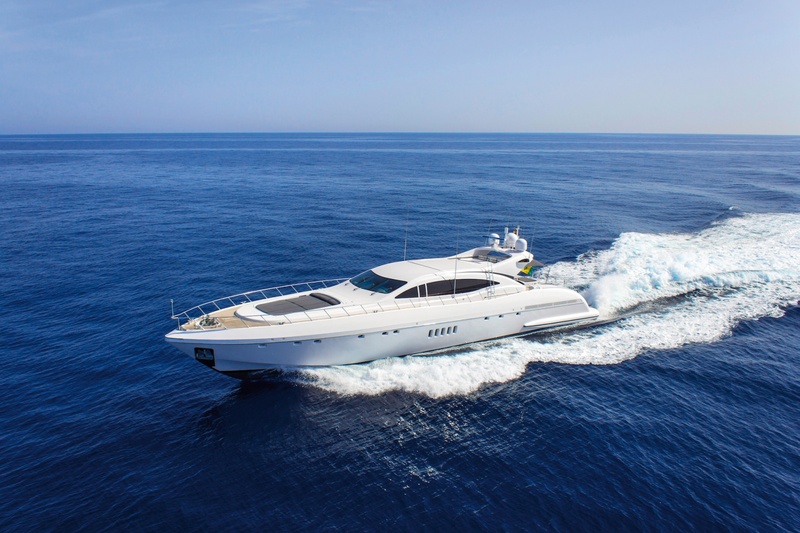 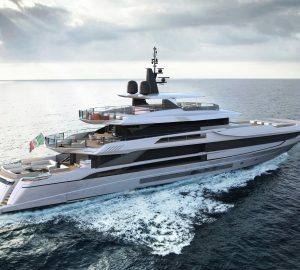 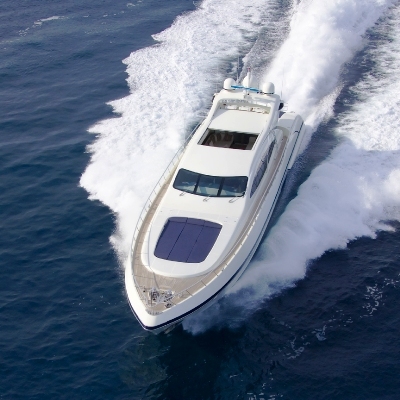 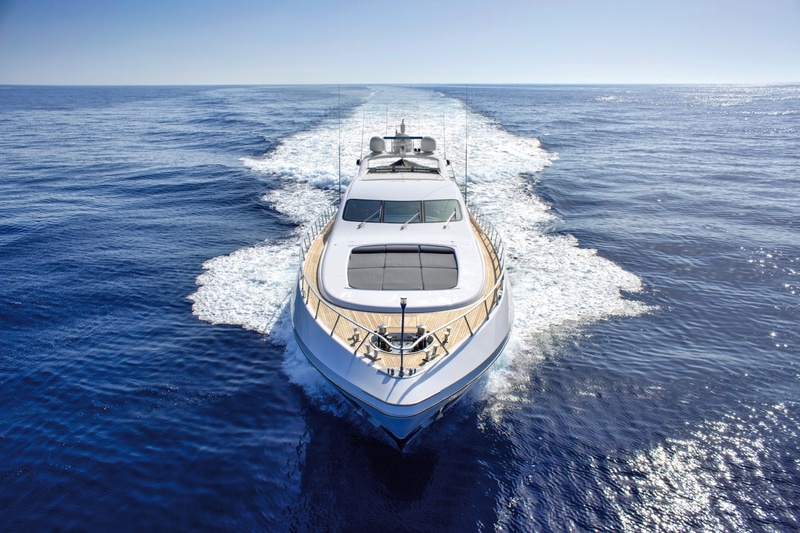 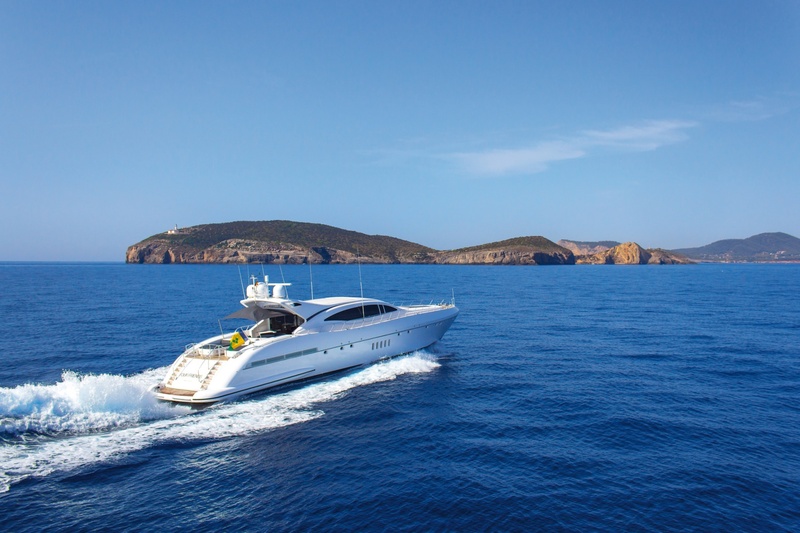 Thanks to her twin MTU 12v 4000 Series M90 diesels of 2,040kW (2,735hp)and Kamewa water jets, the Mangusta 108 maxi open yacht FOUR FRIENDS skims the waves at dizzying 40 knots at full throttle. 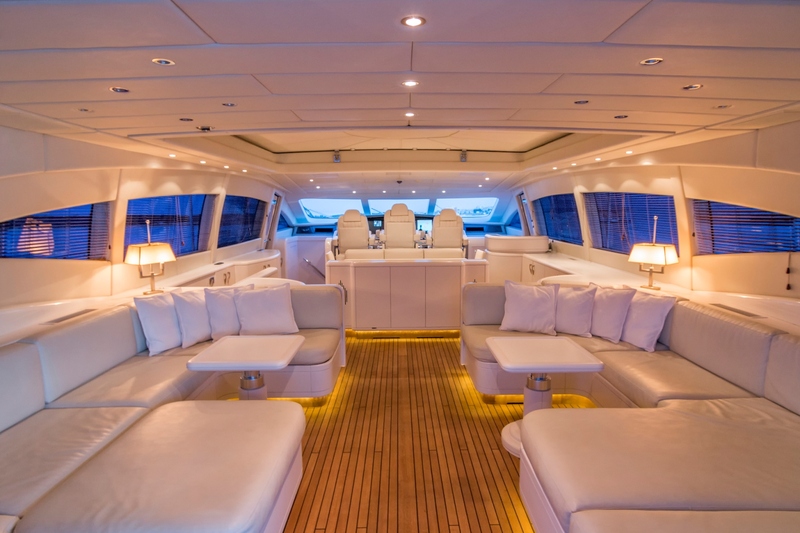 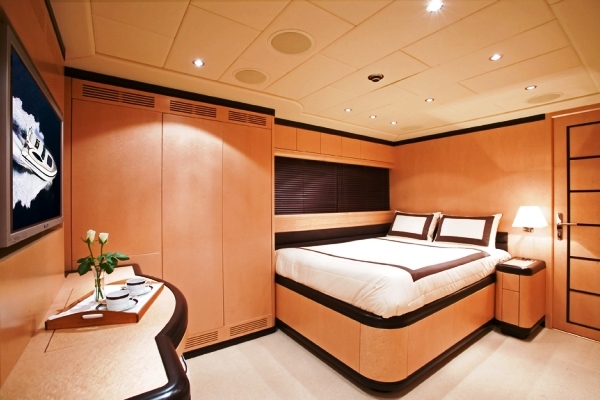 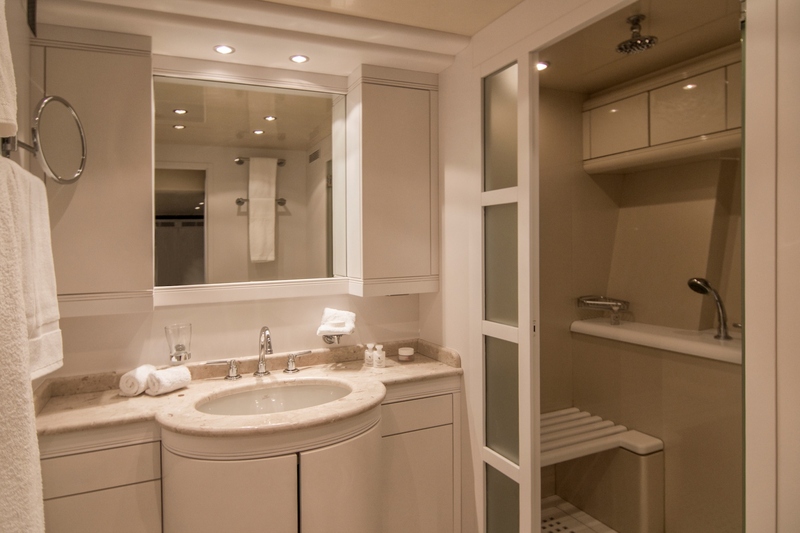 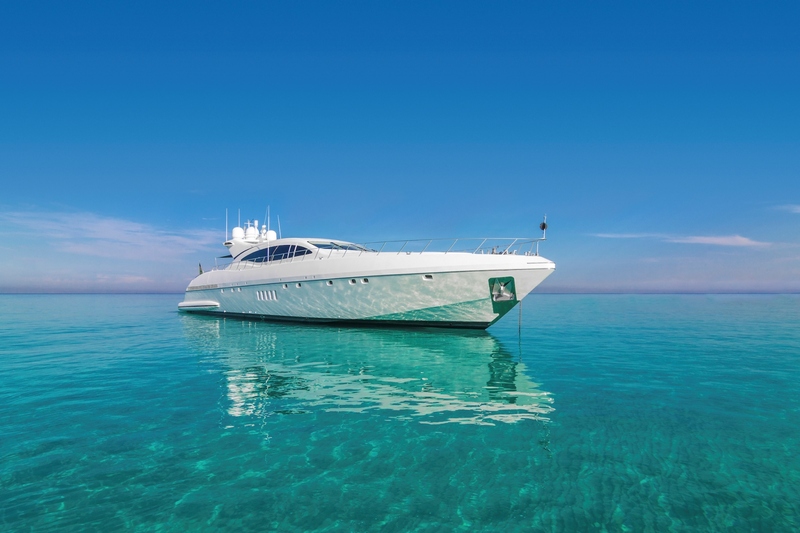 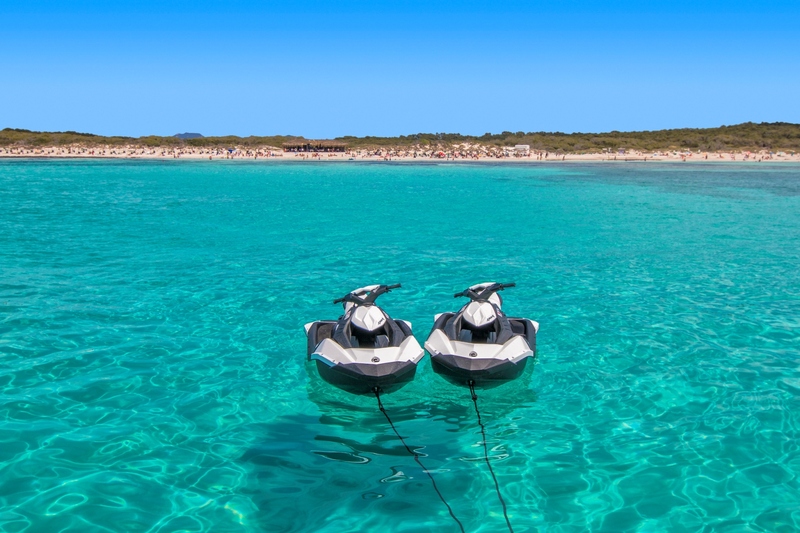 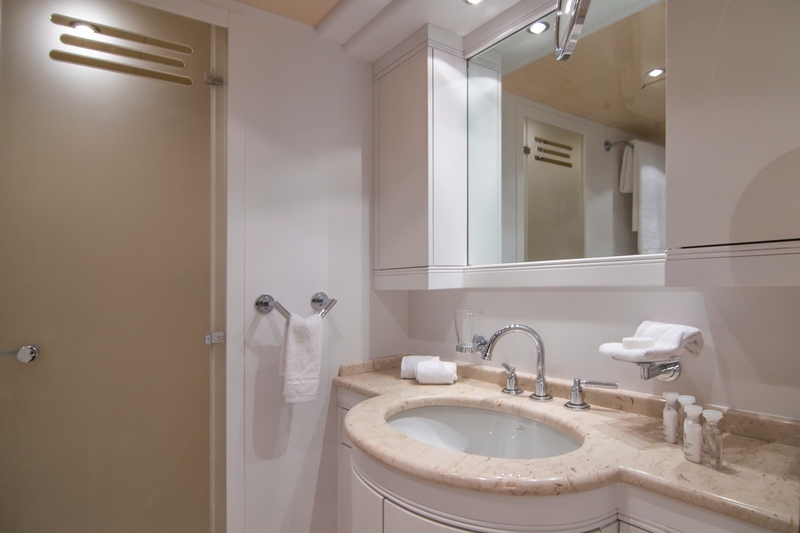 Yacht FOUR FRIENDS was completely refurbished in 2007/2008/2015 which included the addition of plush cream soft furnishings creating a luxurious area for relaxation and a total renovation of the day cabin. 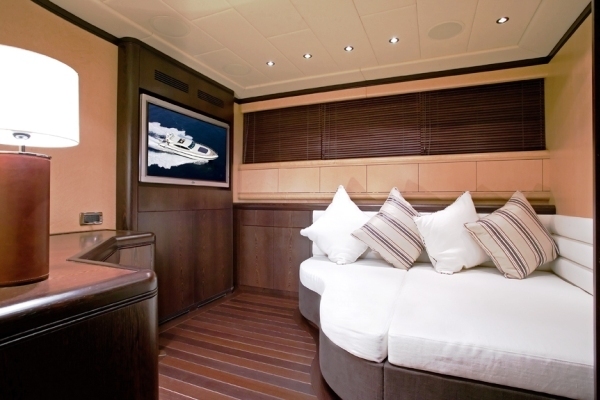 The FOUR FRIENDS yacht is able to accommodate 6-8 guests in 3 en suite double cabins, plus the option of a fold down double bed in a day cabin ideally suited to children/Nanny as there are no facilities for this cabin. 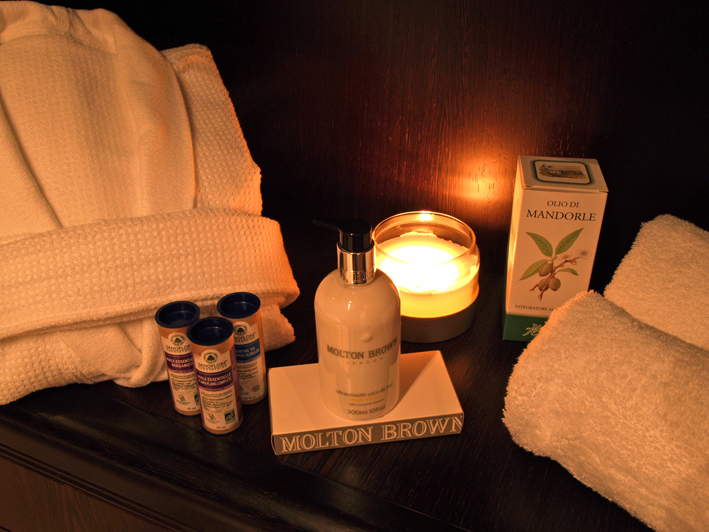 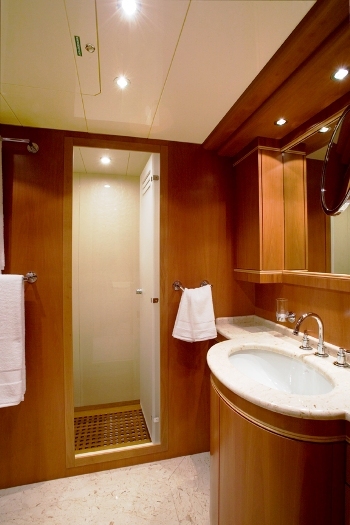 The day cabin is also used a massage room. 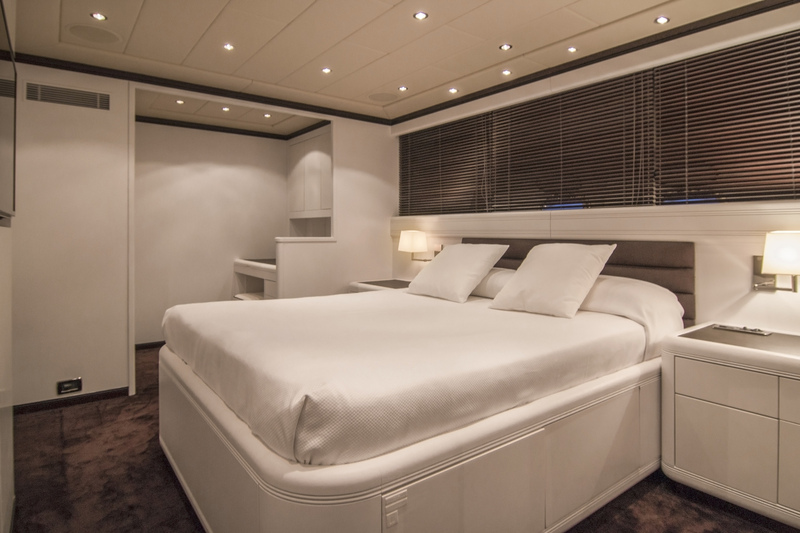 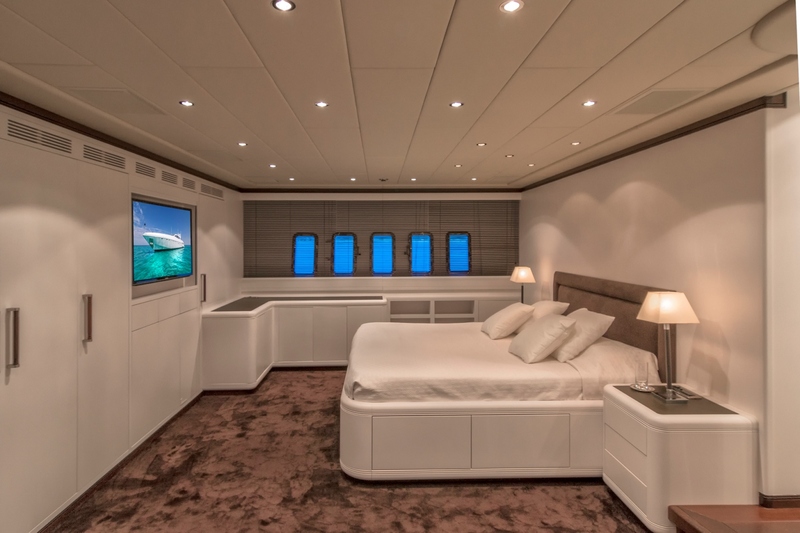 Each cabin is equipped with TV, DVD player and sound system, the master cabin offering large flat screen TV. 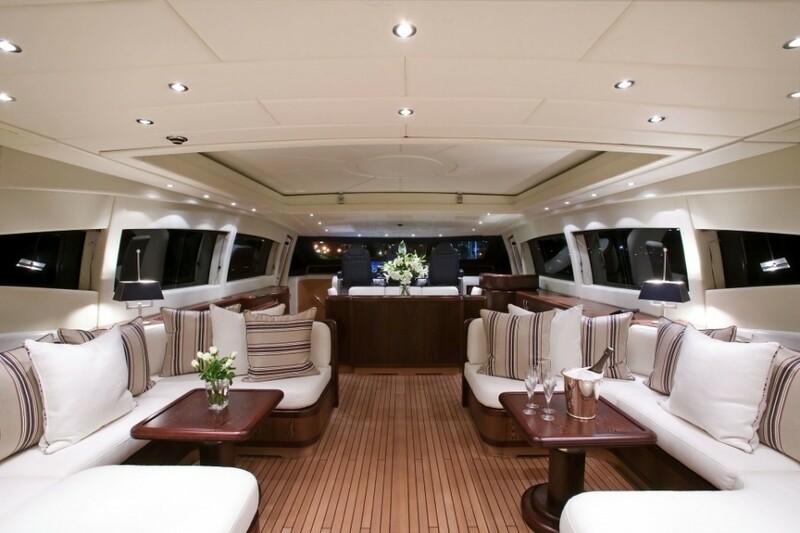 The main saloon with seating area is equipped with flat screen Sky TV and DVD player and leads to a further dining area with removable roof section. 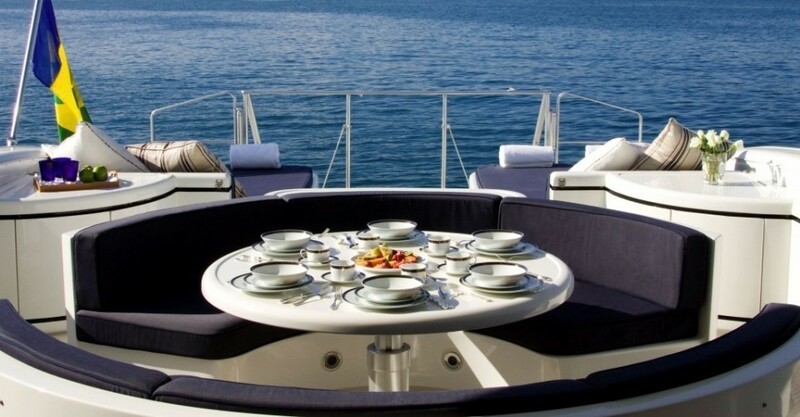 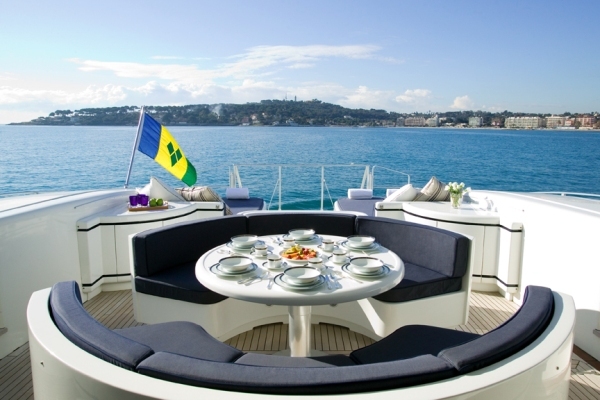 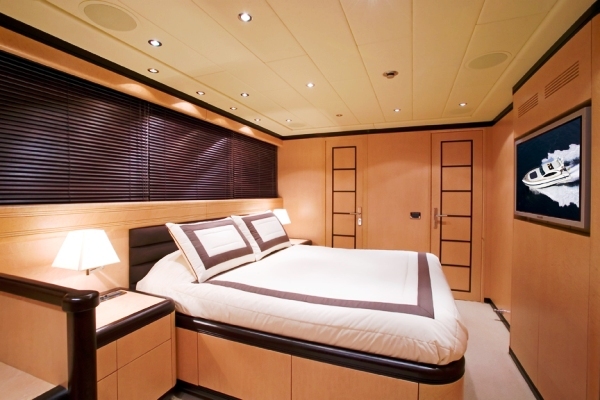 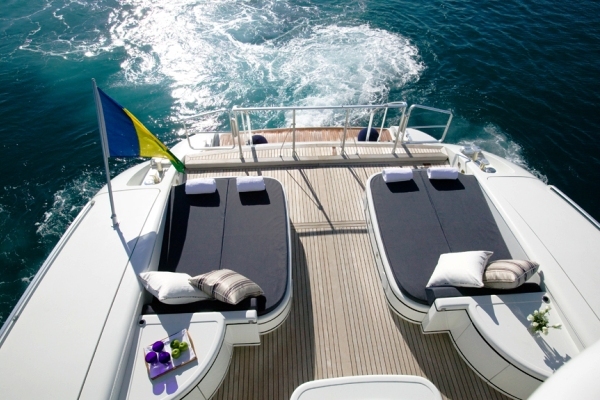 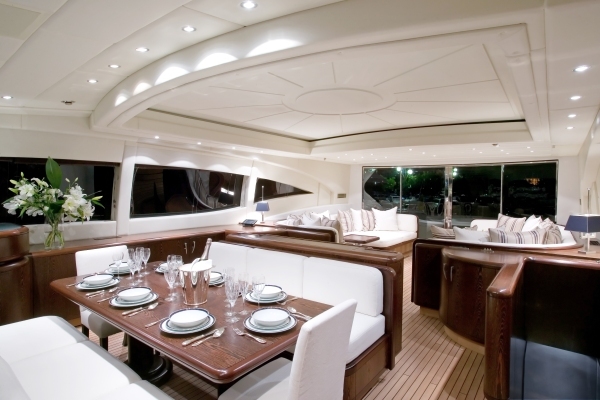 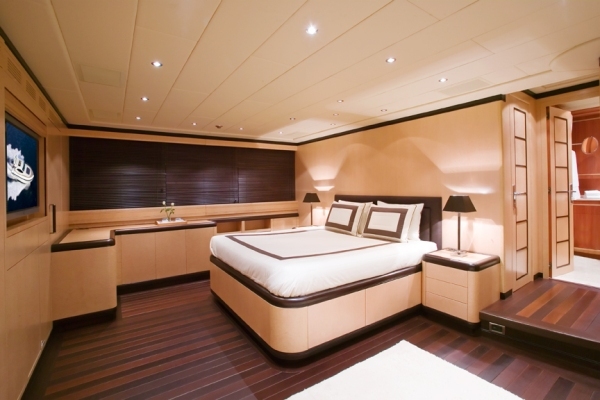 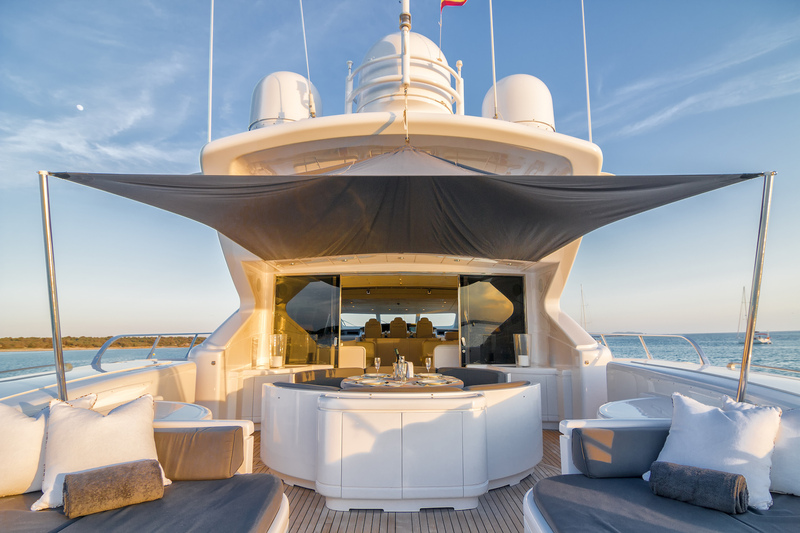 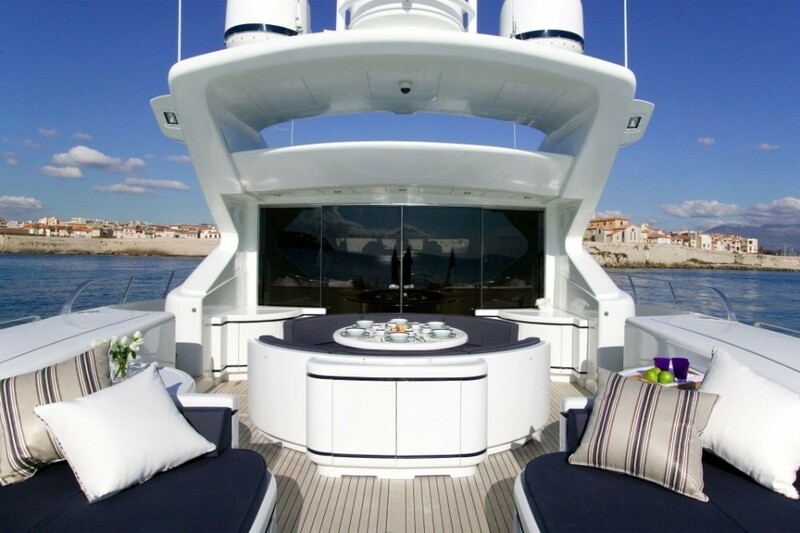 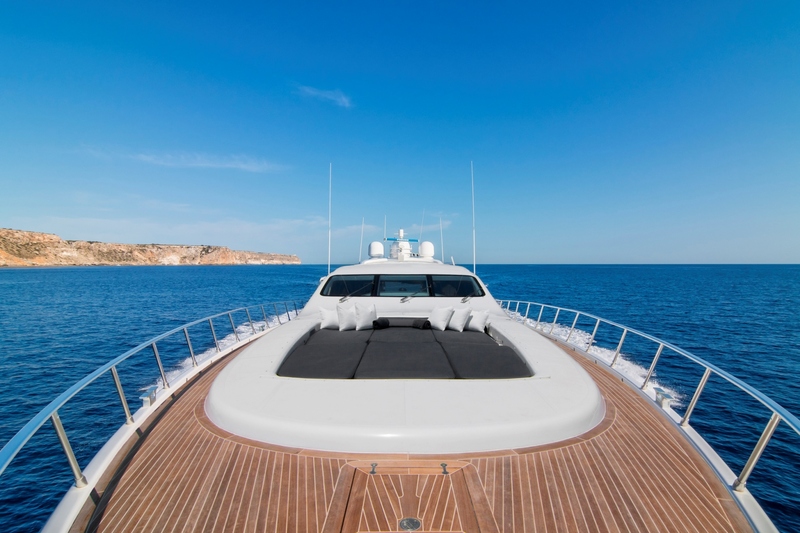 The aft deck on M/Y FOUR FRIENDS has ample sunbathing areas along with an outdoor eating area. 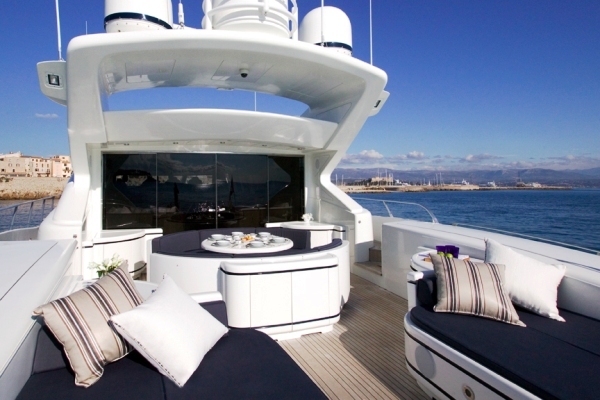 Forward there is a vast sunbathing area with folding hood to ensure total privacy.